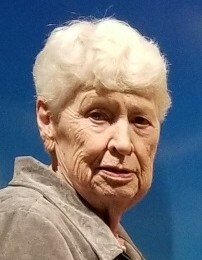 Shirley L. Storsveen, age 82, of Winona, passed away peacefully on Sunday, April 7, 2019. Shirley was born on December 20, 1936 in Winona, to James and Marie (Dzwonkowski) Ives. She was united in marriage to Merlin A. Storsveen on June 13, 1959, at St. Stanislaus Kostka Church in Winona. Shirley was employed for many years as a beautician and later as a cook for St. Anne’s, St. Mary’s and WSU. Her final job prior to retirement was as a food server at Central Elementary School. Shirley was a member of St. Martin’s Evangelical Lutheran Church in Winona. Shirley will be remembered for her love of quilting and watching her favorite sports teams…the Minnesota Twins, Minnesota Vikings and Minnesota Timberwolves. She was an amazing cook and very seldom had a recipe on paper. Spending time with her children, grandchildren and great-grandchildren was very special to her. She also enjoyed playing cards with family and friends, with her favorite card game being Schafkopf. Shirley is lovingly survived by her children: Jean (Steve) Peterson, Kennewick, WA, Debbie (Dennis) Veerkamp, St. Charles, MN, Lynn Lee, Winona, MN, Paul (Barb) Storsveen, St. Charles, MN, Rob (Amy) Storsveen, St. Charles, MN; Grandchildren: Skyler (Sydney) Peterson, Seattle, WA, Jill Veerkamp, St. Charles, MN, Amy (Luke) Rieke, Inver Grove Heights, MN, Mike (Candice) Storsveen, Winona, MN, Andrew Storsveen, Waukesha, MN, Sammi Storsveen, St. Charles, MN, Shelby Storsveen, Rochester, MN, Dillon Storsveen, St. Charles, MN; two great-granddaughters: Kennedy and Briar Rieke; brothers and sisters: Gerald “Jeff” (Carol) Ives, Winona, MN, James Ives, Maple Grove, MN, Barbara (Duane) Hermanson, Roscoe, IL, Janet (Bob) Lee, Rochester, MN; sister-in-law’s: Ruth Ives, Hastings, NE, Lois Brown, Winona, MN, Nancy (Jerry) Kaehler, Winona, MN, Judy Pellowski, Winona, MN; as well as many nieces and nephews. She was preceded in death by her parents, her loving husband Merlin, sister-in-law’s: Judy Ives, Diane Ives and Shirley Storsveen, and brother in laws: LeRoy Storsveen and Wayne Storsveen. Graveside services will be held at 12:30 p.m. on Wednesday, April 17, 2019, at Woodlawn Cemetery in Winona --- please meet at the cemetery gate. The Reverend Richard A. Moore will officiate. Following the service, a luncheon and reception will be held in the fellowship hall at St. Martin’s Evangelical Lutheran Church, 328 E. Broadway, Winona. In lieu of flowers, memorials may be made to the family, which will later be donated to a charity yet to be determined. Online condolences or memories may be left for Shirley’s family at www.watkowski-mulyck.com.